단군시대부터 조선조까지의 역사를 복원하여 왜곡된 우리 역사를 바로잡는 데 중점을 두었다. 우리 민족은 인류의 역사가 시작된 파미르고원에서 시작해 천산의 유인시대와 환인시대, 태백산의 환웅시대, 알타이 산맥의 단군시대를 거쳐 북부여가 단군의 대통을 이었다. 마고의 손녀인 황궁은 천산산맥으로 이동해 거주한 우리 겨레의 직계 조상이다. 청궁씨족은 돈황이 있는 중국의 중원 쪽으로 이동해 황하문명을 이룩한 씨족들이며, 백소씨족은 사마르칸트가 있는 서쪽으로 이동해 중, 근동문화 나아가 서구문명을 탄생시킨 주인공들이다. 흑소씨족은 남쪽으로 이동하여 나아칼(Naacal), 마야 문명, 타밀을 비롯한 드라비다 문명, 갠지스, 인더스 강 유역의 베다 문명을 건설한 주인공들이라는 것을 ࡔ부도지ࡕ에서 확인할 수 있다. 당나라와 신라의 연합군에 의해 멸망한 고구려의 뒤를 이어 일어난 발해나 발해의 뒤를 이어 일어난 거란의 요, 요의 뒤를 이어서 일어난 여진의 금, 명나라를 멸한 여진의 청은 동이의 피가 흐르는 후예들이 세운 나라들이다. 우리의 얼이 담겨 있는 ࡔ천부경ࡕ의 정신문화를 받들고, 마고성의 철학이 집약된 홍익인간의 글로벌 이념을 되찾아 주체성을 회복했을 때 우리는 세계화 시대를 이끌어 가는 21세기의 주역이 될 수 있을 것이다. 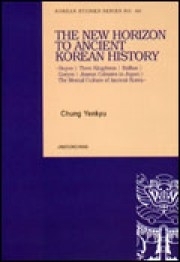 The book takes a view of the korean history from Dangun dynasty to Joseon. It takes a stance that contradicts the discipline of local academy that the ancient history prior to the Three Kingdoms period is of a nature unacceptable. It bridges Dangun dynasty with the following Buyeo to Goryeo. Danguns' 47 generations lasted from 2333 to 239 B.C. for a total of 2094 years. After the downfall of Old Joseon, many feudal states became independent and caused a fundamental geographical realignment and a mass migration. These led to the intermingling of inhabitants, bringing about an ethnic integration and cultural fusion. For example, a vassal, Gosil(高失) of Dangun emperor, was appointed as the lord of Cheonggu(靑丘). He was a minister of the agriculture who was appointed as a feudal lord in Cheonggu state whose capital city was Nangnang(樂浪) Fort. These clans moved to the south to establish Three Han: Mahan(馬韓), Byeonhan(卞韓) and Jinhan(辰韓). From the first generation of Goguryeo, Go Jumong to the last 28th king, Bojang(寶藏), the 28 dynasties lasted for 725 years. The ally forces of Silla and Dang collapsed Sabi(泗沘) Fort and Ungjin(熊津) Fort, and perished Baekje in 660 A.D. at age of the last 32nd king, Uija, and further perished Goguryeo, collapsing Pyeongyang Fort in 668 A.D. at the age of the last 32nd king, Boja. Jeong Dojeon(鄭道傳) and his supporters dethroned Goryeo King Gongyang by force, and instead, they seated their leader, Yi Seonggye, on the throne. So Goryeo Dynasty came to an end in the 4th year of Gongyang's reign in 1392 A.D. with 34 successive kings for 475 years.